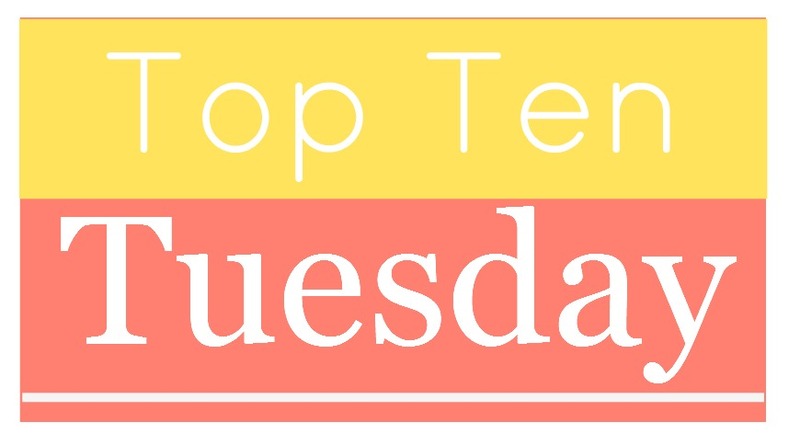 This week’s Top Ten Tuesday is about things that we want to see more of in books. Of any kind, be it the romantic kind, of friendship, or the relationship between siblings. Stop trying to sell jealousy and control as being cute and romantic and a sign of friendship. Give me functional, functioning relationships that make me feel all warm and fuzzy! Because goddammit is it tiring to always see women pitted against each other because apparently we all see each other as rivals? Which is bullsh*t? It’s the twenty-first century, I think it’s time for male characters to get some feelings and thoughts that go beyond the clichéd superficial stuff we usually get. Perfect example: Will and Jem’s relationship in The Infernal Devices is something we seldomly see in books. Again, twenty-first century – why are there so very few non-heterosexual relationships and characters in books? I know there’s more and more badass female characters, so I’m going to be a bit more specific: the kind of badass that doesn’t necessarily mean being a good fighter or going into battle swords blazing; but badass through kindness, wit, patience, and all the other things that are somehow still not considered badass because they’re “weak” or whatever. Come to think of it, I don’t think I’ve read many books where characters were truly kind. And I mean characters of all genders, because women are not the only ones who can be kind. Mostly, skin colors aren’t specified in books, but there is still a serious lack of diverse characters. And don’t even get me started on whitewashing etc. in movies… And it’s not just the color of the characters’ skins; many characters are built in the same way, to please some beauty standard or something. And disabilities are so rarely present as well. Why is it so goddamn hard to just be honest to each other? Not only does it make the story complicated in unnecessary ways, but it also clears the way for trust issues and the likes. Sure, we’re not all honest with each other in real life either, but if characters in books were more honest with each other and themselves, it might set an example. F*ck insta-love. I want relationships that feel real, that are built on a foundation of knowledge about one another; I live for one character knowing the little quirks and crazinesses of the other, for love to be more than a crush because someone’s attractive, for friendships to be more than banter and laughs without anything underneath. Of course most books have plot twists, but that’s not what I mean. I mean the kind of plot twist that you just don’t see coming, that has you screaming “WHAT? !” at the book. You know, when you’re reading a book and think you know exactly where it’s going, what “plot twists” are coming up, and then it just does a 180 and leaves you gasping for breath? That’s the kind of plot twist I’m talking about. A good plot twist can turn any book from a dud to a stud!